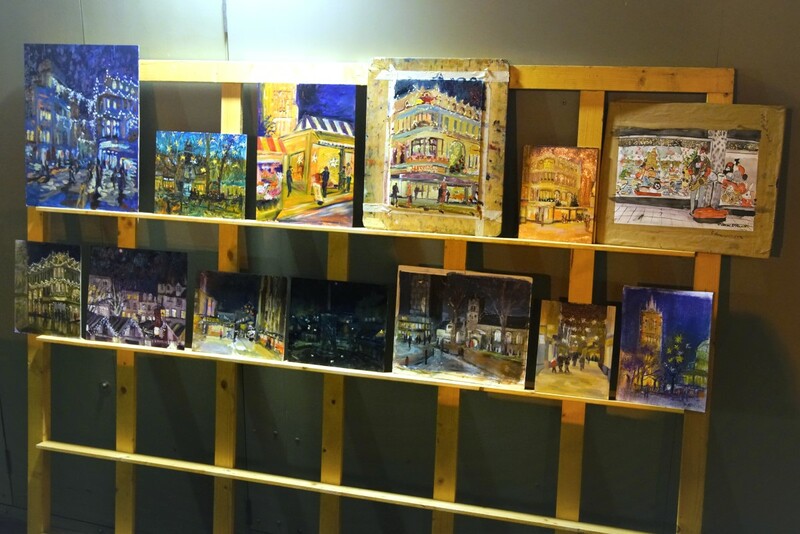 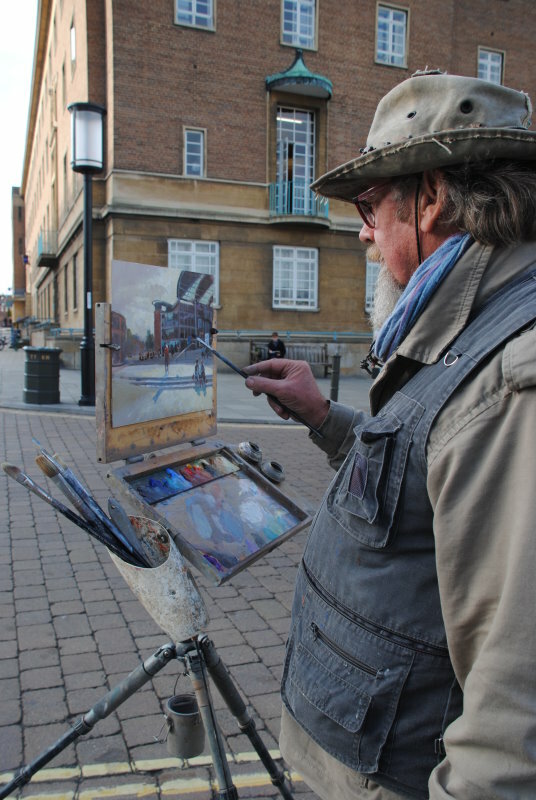 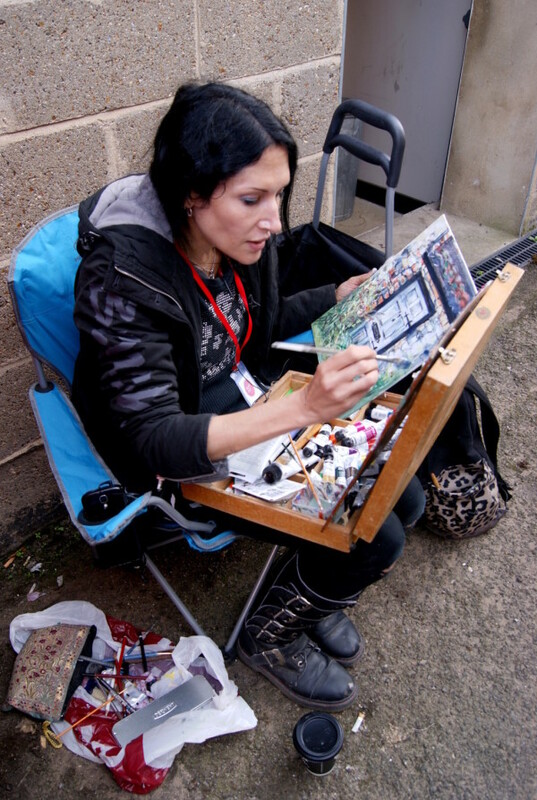 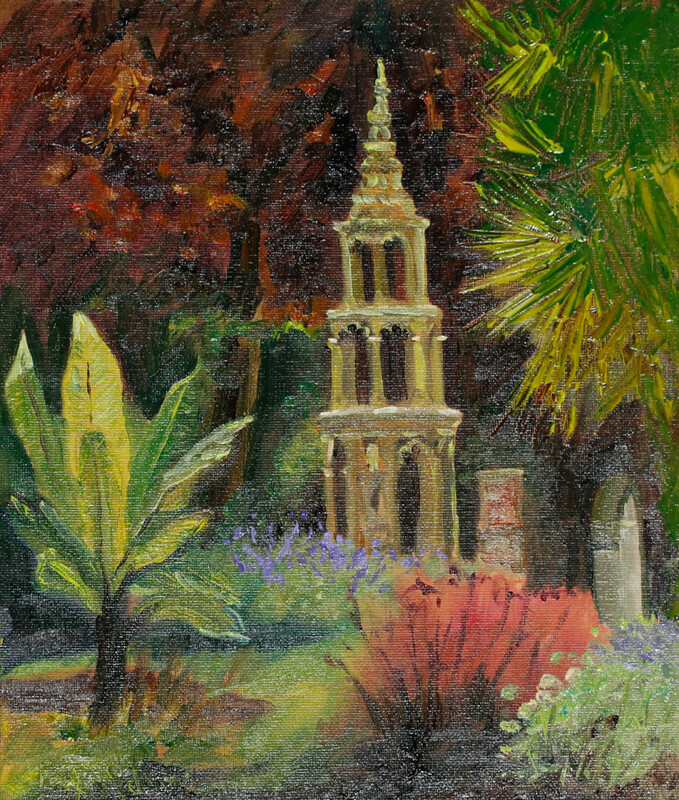 Between 9-1pm over 30 Plein Air artists will paint the Norwich Market area including Guildhall, City Hall, The Forum, St Peter Mancroft, Gentleman’s Walk, The Royal Arcade, Jarrolds, and the Lanes. 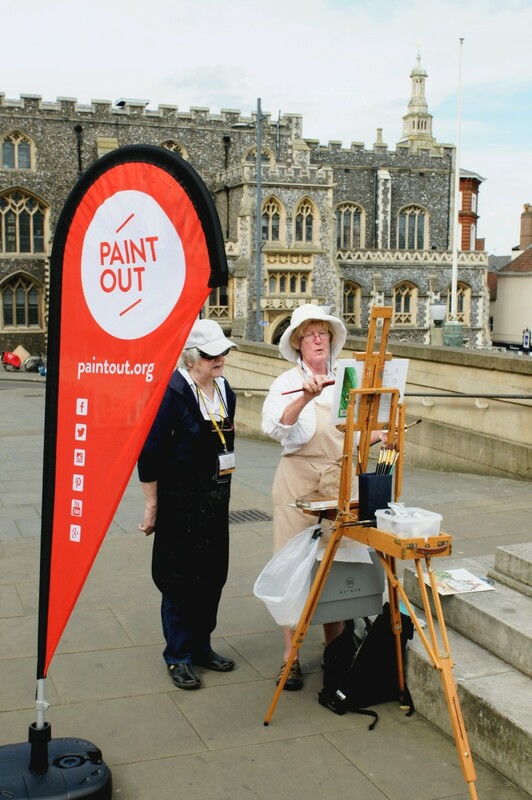 Watch the artists painting in the open air and see their finished artworks first at the private view & art awards (17th) or afterwards at the Cathedral Hostry exhibition (18-28th). 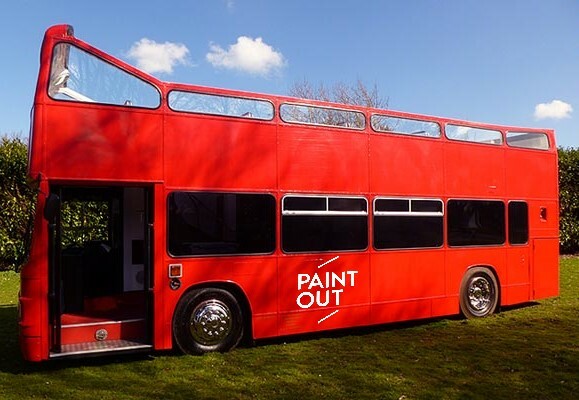 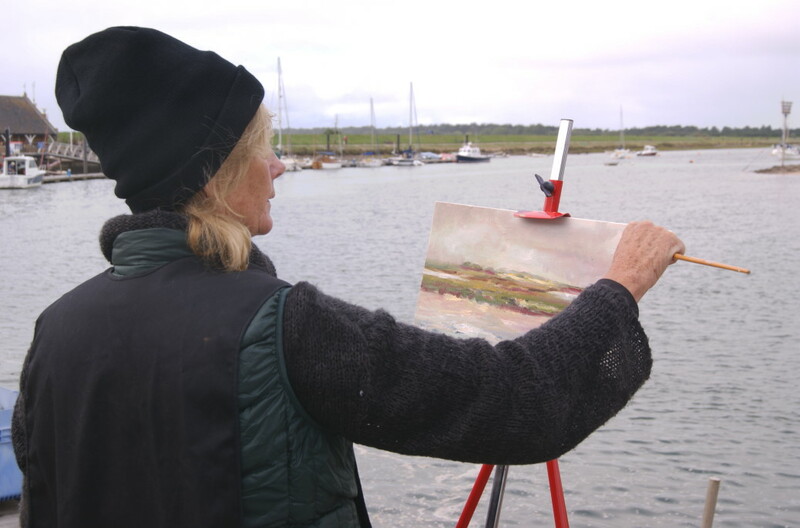 Paint Out Wells runs 16-18 September on the North Norfolk Coast and invites artists of all ages and abilities to join the competition artists on the Wells quayside this Sunday morning to paint the dawn. 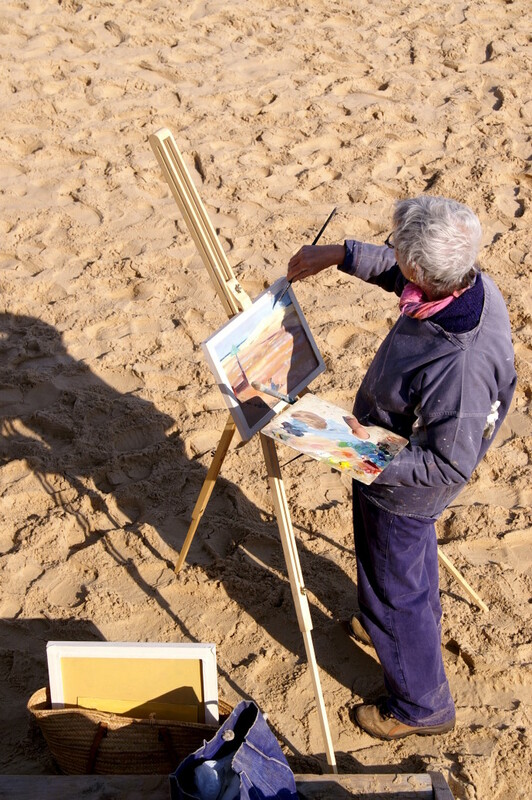 Be among the silhouetted ship masts, cast shadows of the crab nets and rising morning sun at it looms over the prominent Granary gantry on Wells seafront. 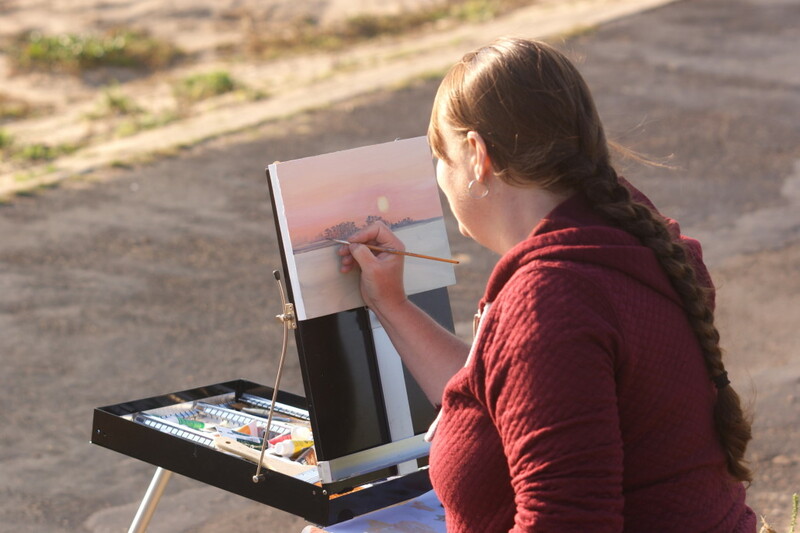 Last year’s sunrise event was on the beach, this year it’s on the docks among the boats and birds. 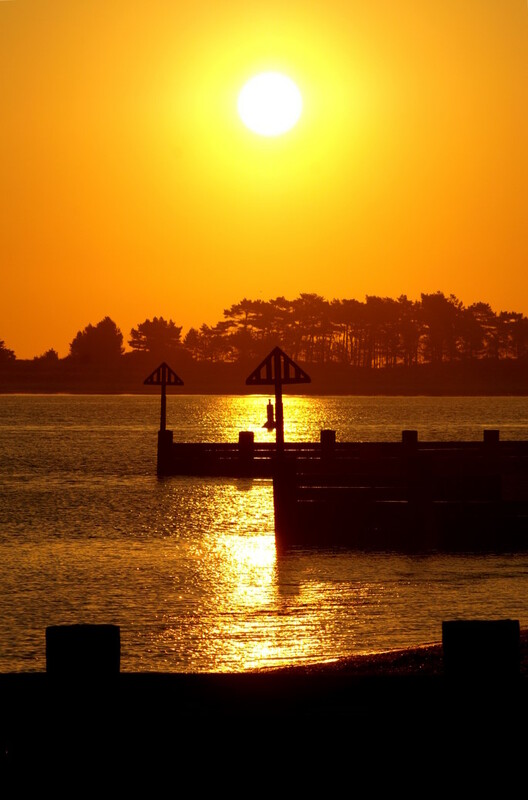 Pre-dawn emerges from the darkness of night just before 6am, creeping around the ship masts, turning the sky purple and orange, before the 6:36am sunrise proper illuminates the haze of a September summer Sunday. 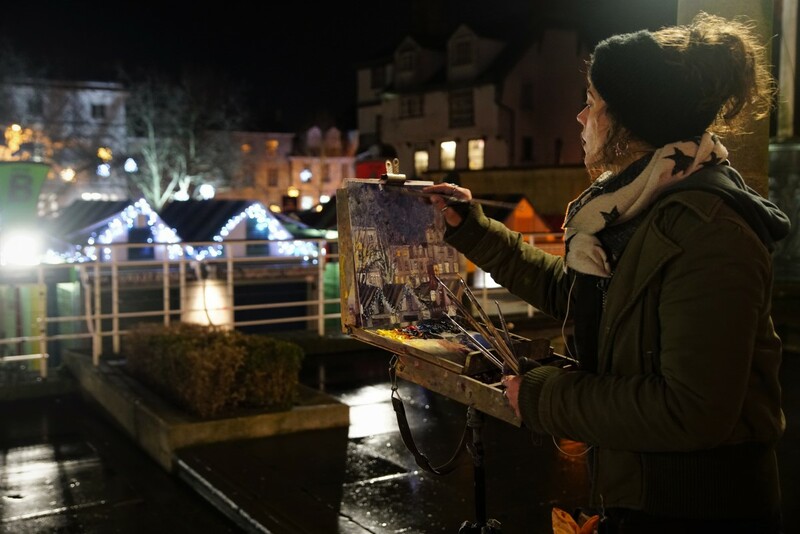 So grab your sketchpads or easels, paints, pastels or pens, and come and join two dozen artists on the quay painting, sketching, drawing, and even collaging the changing morning light. 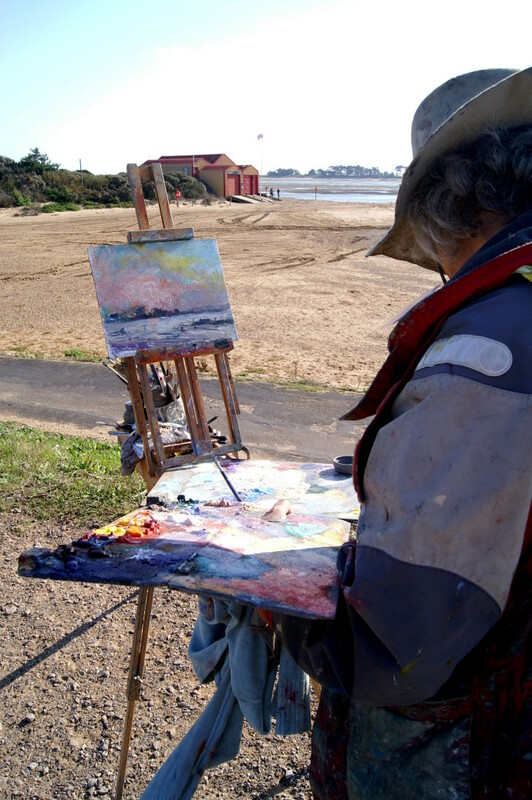 The weather forecast is good and we will be on the seafront 6-10am. 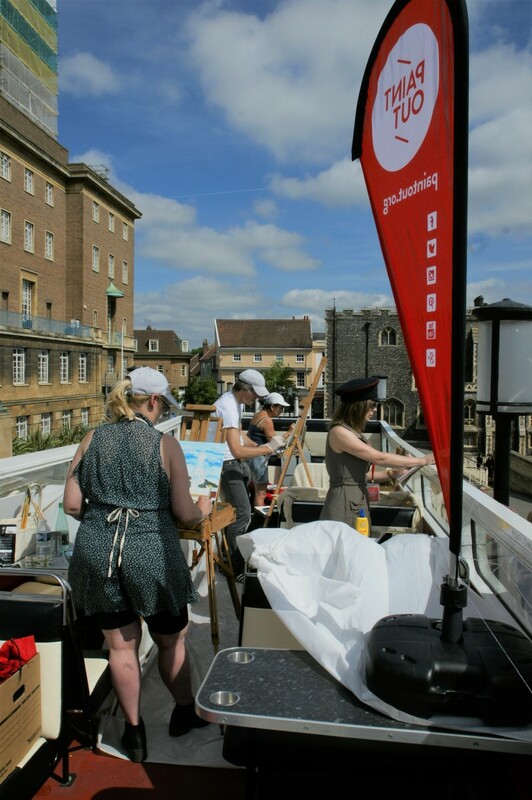 After painting, there is an optional subsidised Brunch aboard The Albatros, for just £5/head. 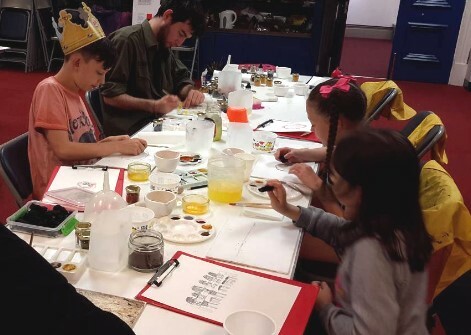 It is only £10 for adults, £5 for children, or £20 for a whole family to participate, and have your art shown in the big marquee art exhibition on The Buttlands, 2-7pm, later in the day. 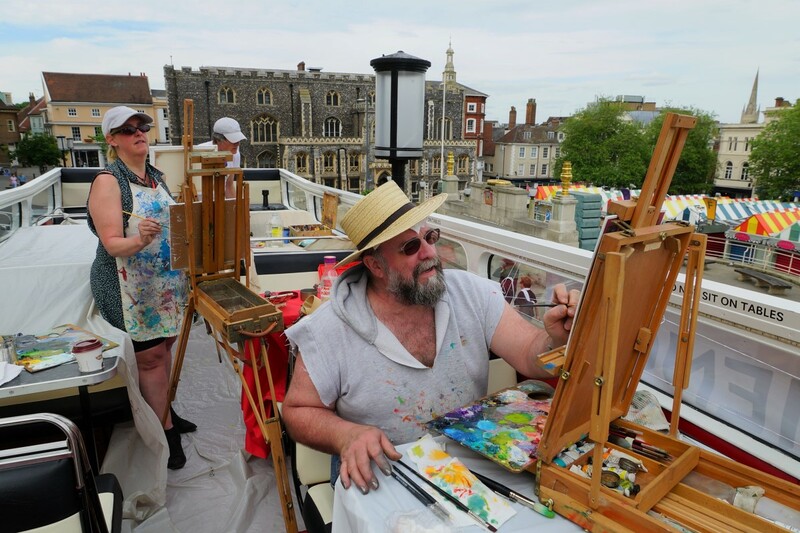 The afternoon event also features street food vendors and take-out drinks from The Globe and The Crown, as well as the showing of around 100 works of art and a live competition paint out 3-6pm by Paint Out artists, as the culmination of their weekend event. 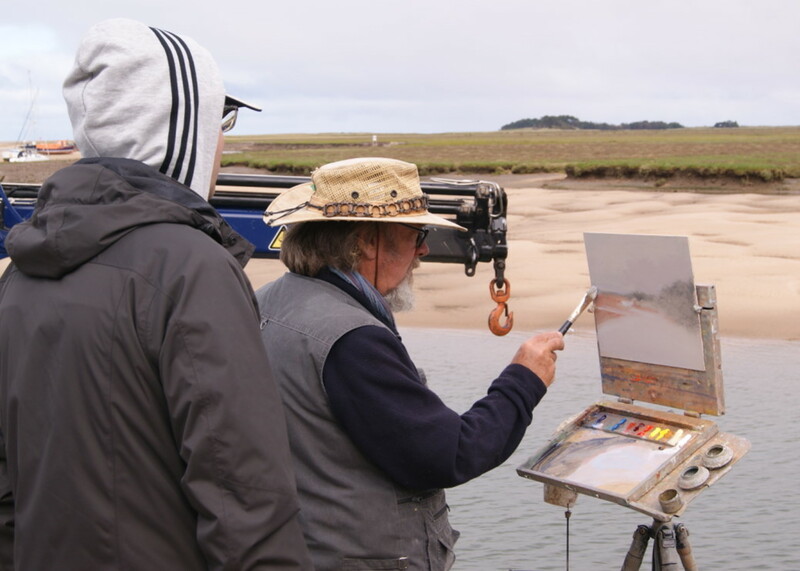 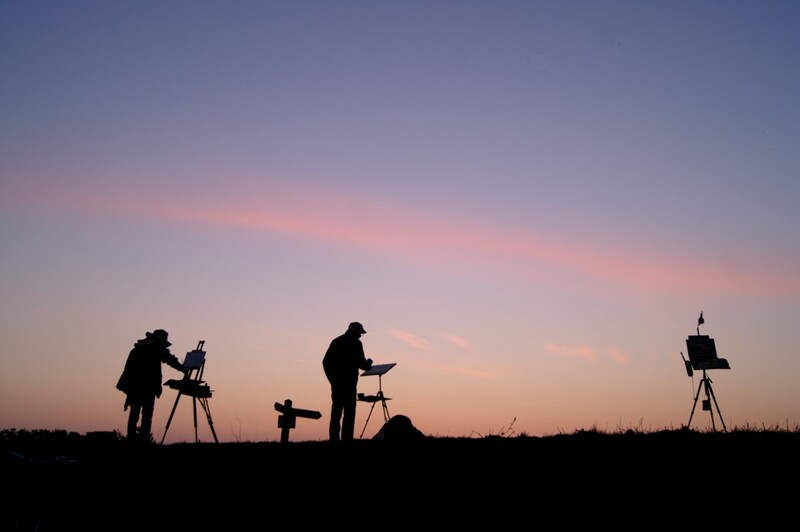 Artists will have painted a sunset on Wells-Next-The-Sea Beach on Friday, and spent Saturday morning in Burnham Market and Brancaster Staithe. 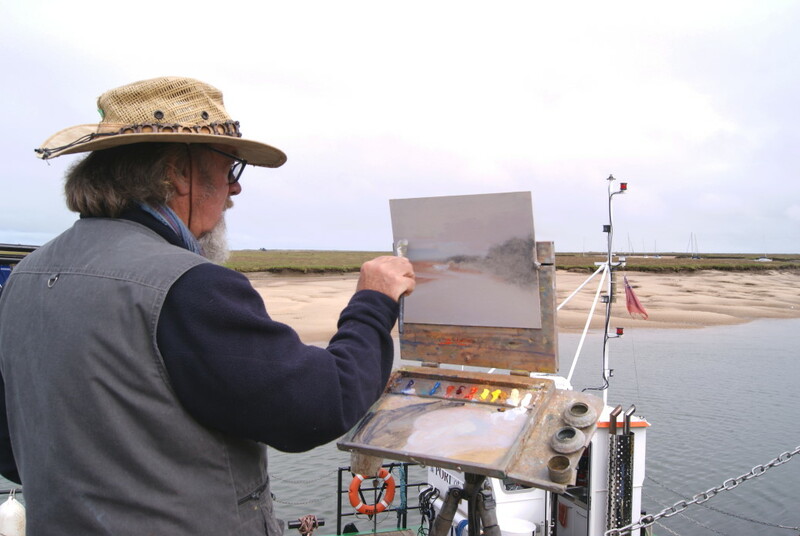 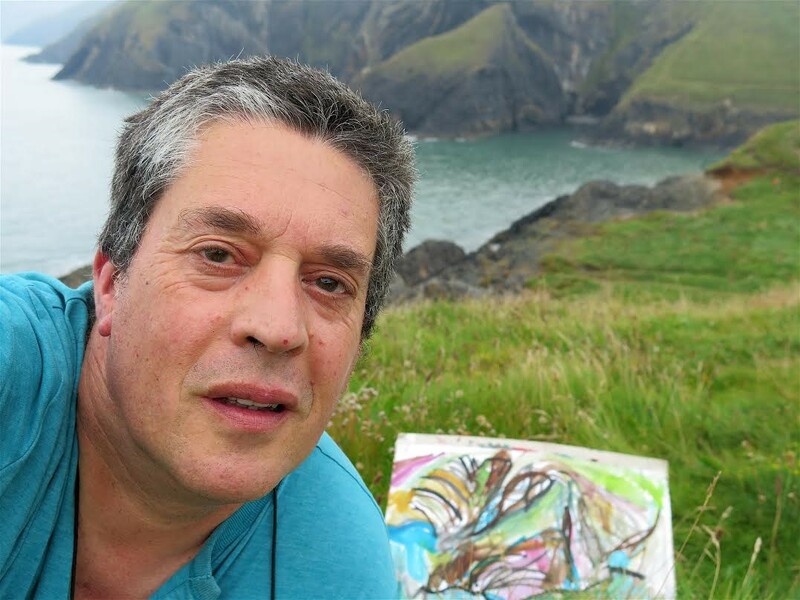 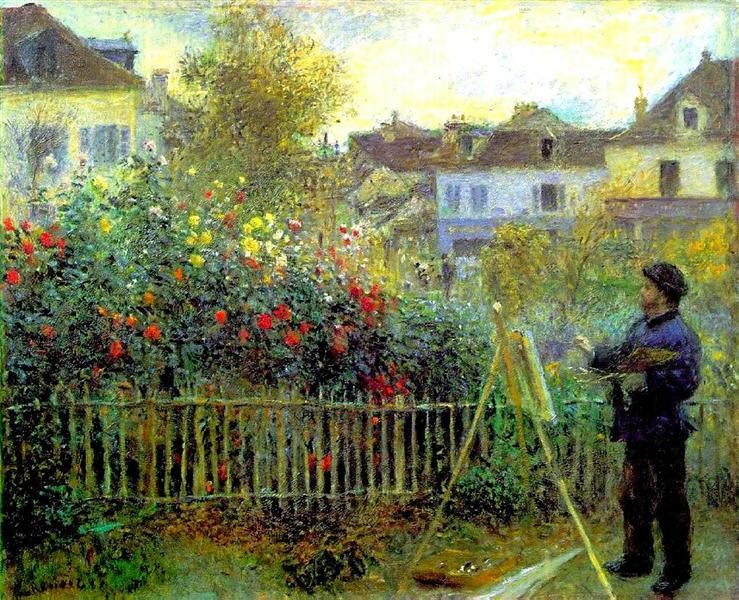 On Saturday afternoon many artists will be found about Wells painting or joining the “Painting under pressure of changing light” art workshop (£45) with Michael Richardson, UA. 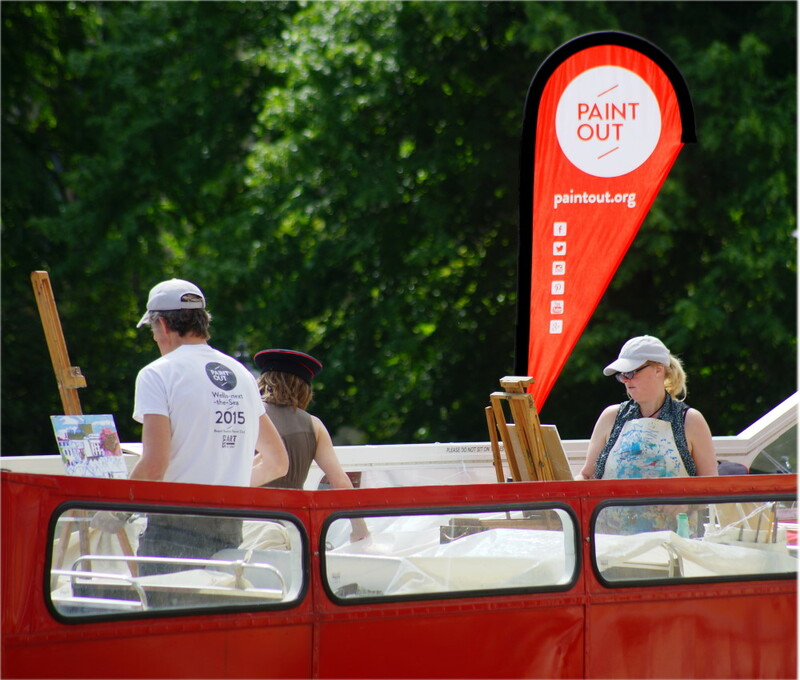 Read about last year’s sunrise paint out and its winners , or our sister event in Norwich last October, which saw 100 artists painting the skyline from Mousehold Heath. 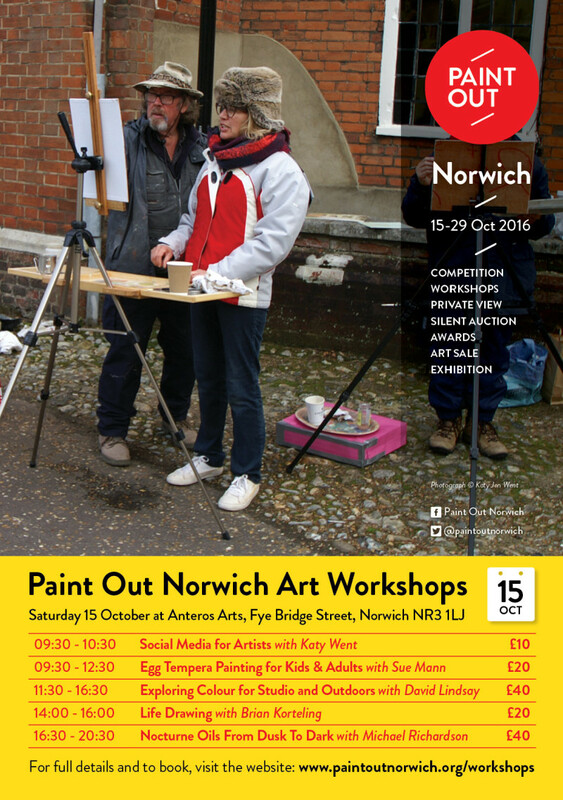 Check out our weekend agenda if you want to watch the artists painting at other times and places, and then come and see the finished art in the exhibition, and even buy art straight off the easel. 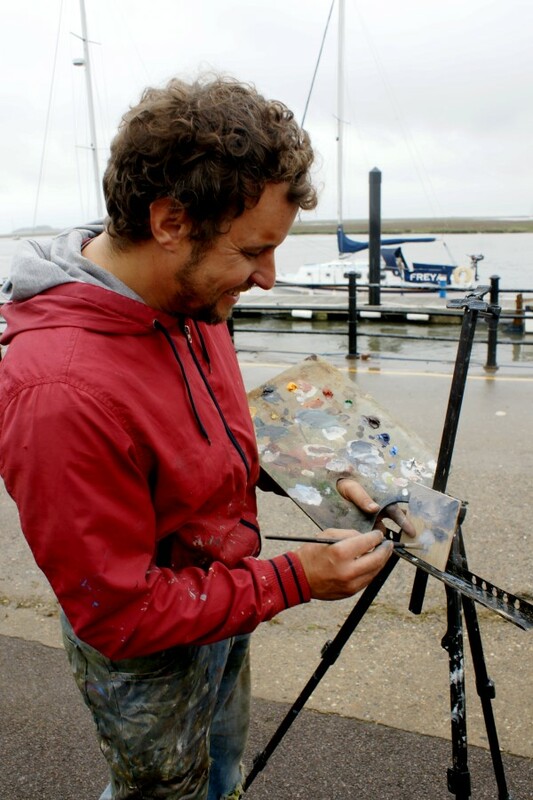 Artist Liam Wales wins again! 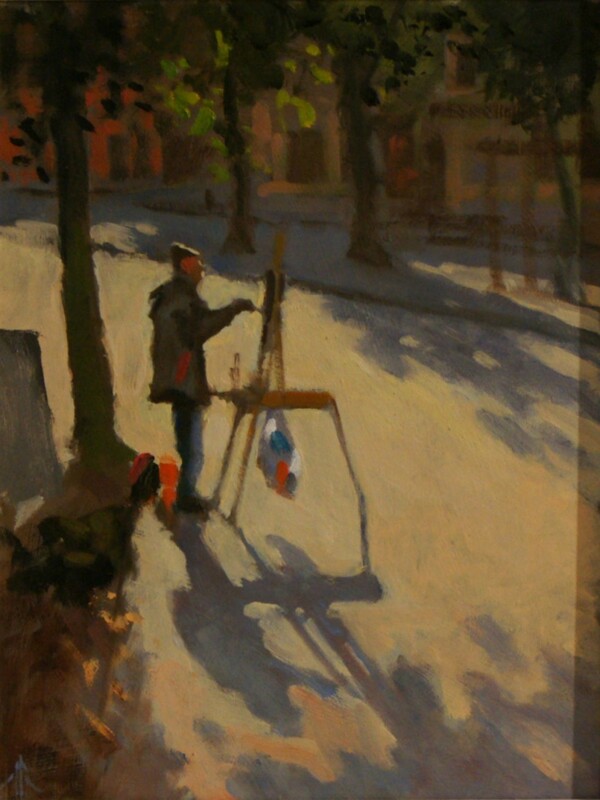 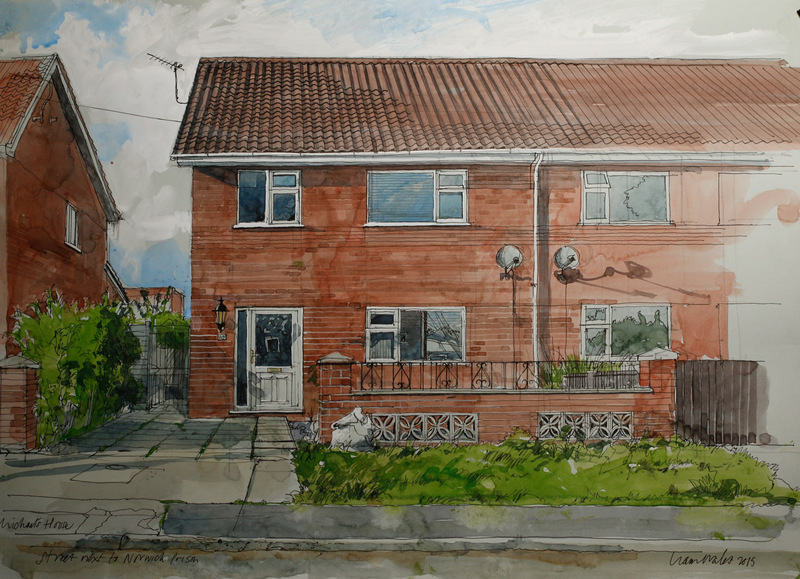 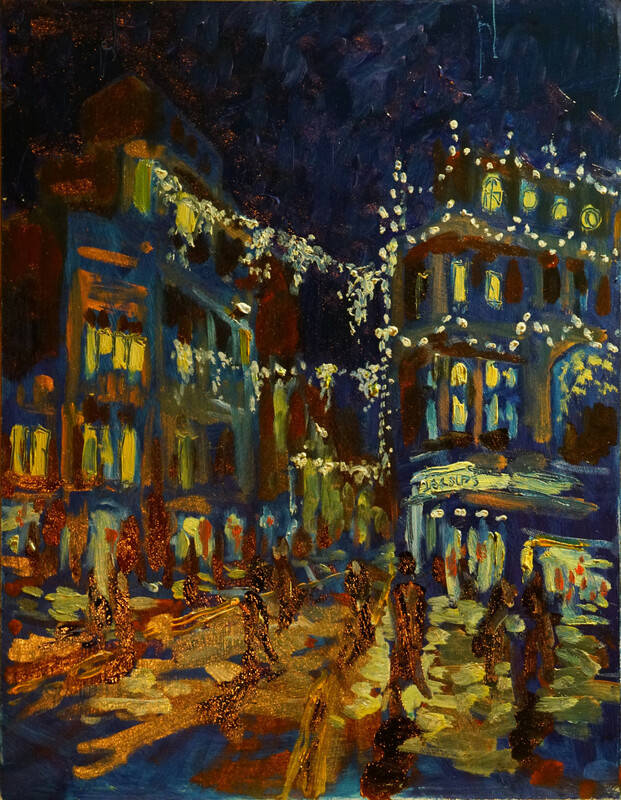 The Paint Out Norwich Exhibition Vote People’s Choice award was won again in 2015 by artist Liam Wales. 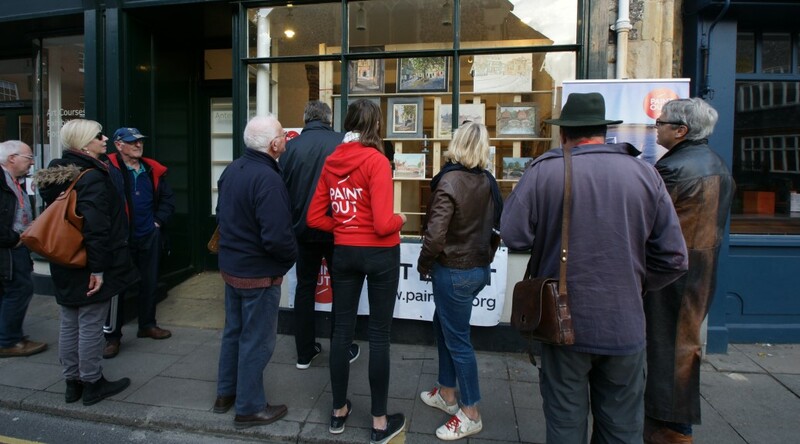 When Liam first entered Paint Out in 2014 he was also the overwhelming Archant/EDP People’s Choice vote winner at the Hostry Festival exhibition of paintings. 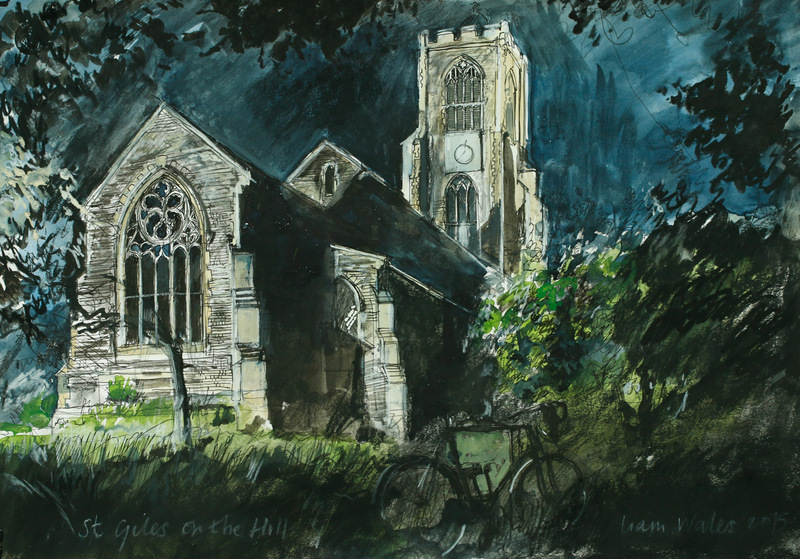 As well as receiving £100 and a Judge’s commendation from David Curtis for his St Giles on the Hill painting (see below) he wins an additional £100 prize cheque, courtesy of Archant. 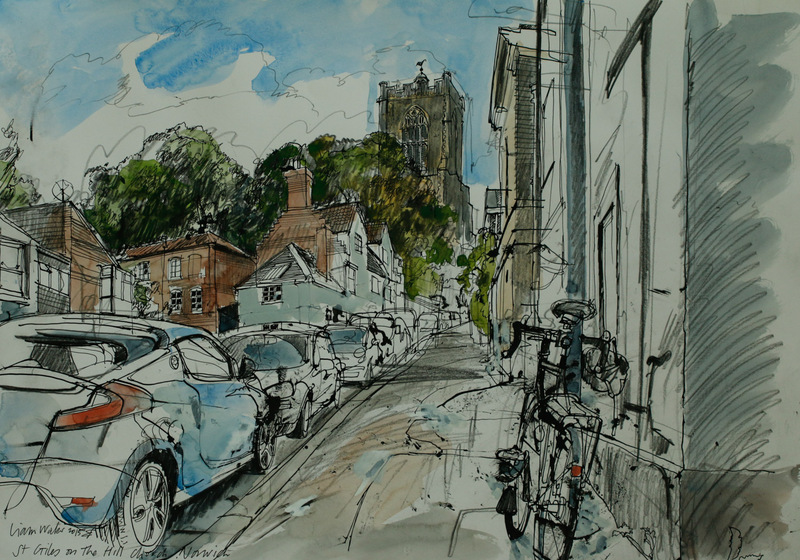 His unmistakable draughtsman-like style of charcoal or pen and ink, with occasional colour wash, has stood out two years running. 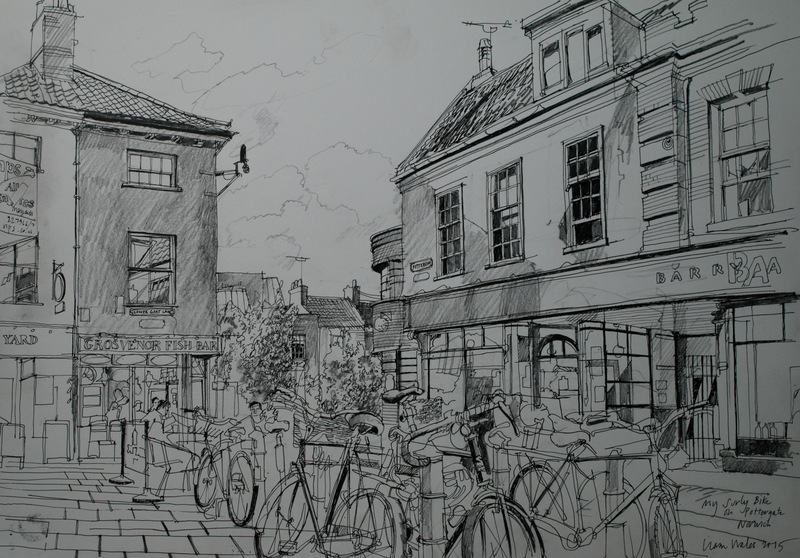 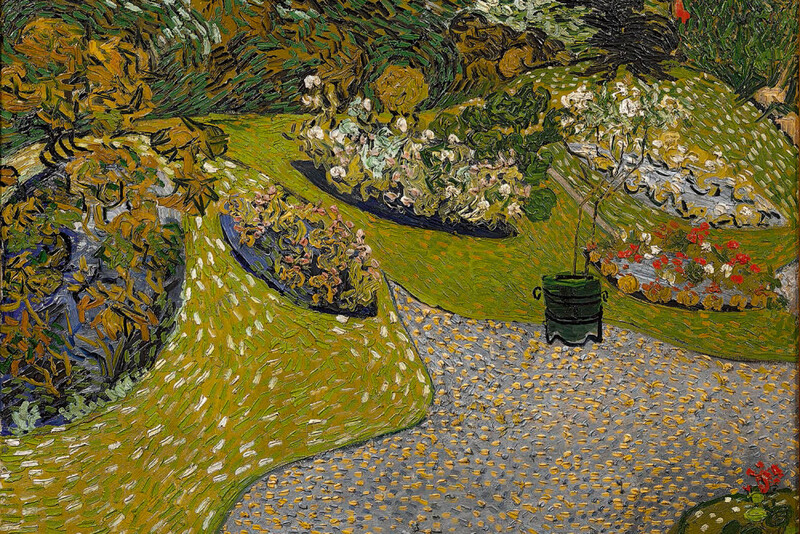 He has a quirky love of bikes and cars that has seen them feature in many of his works. 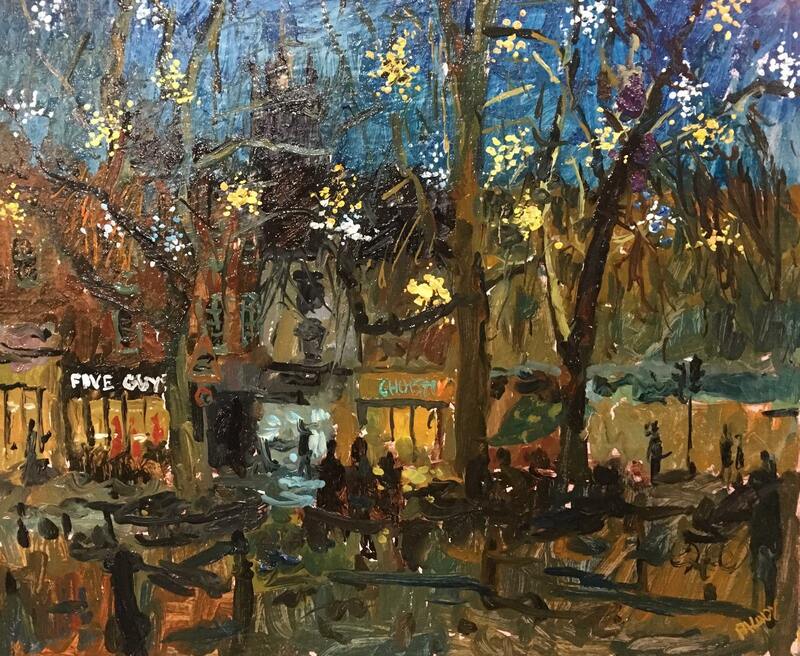 Liam says he likes to “work quickly with a fluid line which gives each drawing a particular spontaneity.” Every artist was given 3 hours to complete each art work, and on several occasions Liam has wrapped up early. 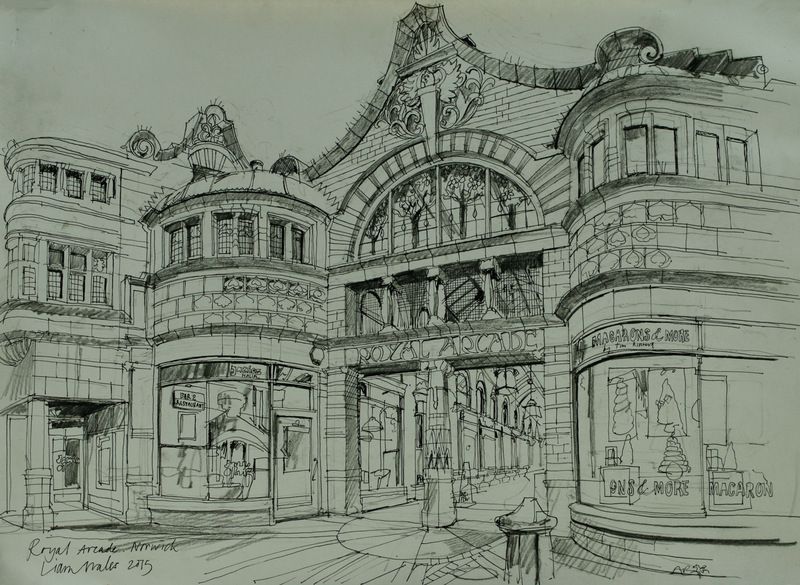 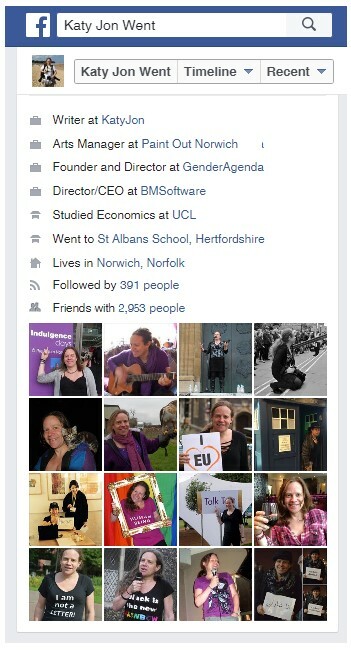 He has recorded many Norwich views including the iconic Royal Arcade, an art work whose detail shows off his architectural and artist’s eye at one and the same time.